… the future is already here! 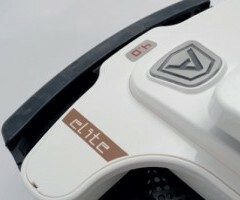 The Elite model combines the features of flexibility and modularity with 4.0 technological innovation. 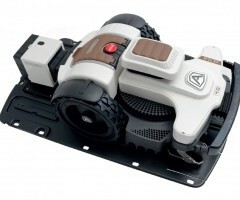 It comes with a ZCS Connect device that allows the safe connection of the robot anytime and anywhere, by means of GPS, Bluetooth and GSM technology. 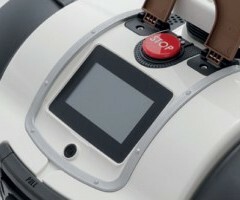 With a simple touch, the robot can be stopped and started and areas can be excluded. The Geofence Alarm allows the system to alert the user when the robot exits the garden. 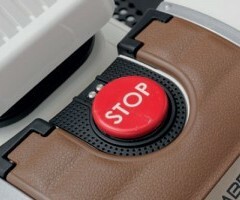 In this way, you will always be informed on the movements of your Ambrogio 4.0. An evolved anti-theft system. It can be combined with the Medium, Premium and Extra Premium Power Units going from 1.800 up to 3.200 m². The Extra Premium kit permits to equip the robot with the inductive recharge. Ambrogio only has to touch the station, which is now smaller and less bulky, to recharge itself anywhere. Induction recharge avoids the usual cleaning of the contacts. 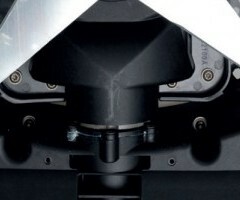 The adjustment of the blade height, now motorised, is also easy to operate, thus facilitating the use of your robot. 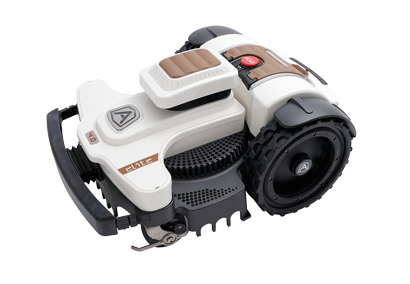 The ZCS technology is more user-friendly and interactive for easier management of your lawn in a completely autonomous manner. Always, anywhere, anytime… super smart Ambrogio!